Here at Interstate we strive to create beautiful, functional, and inviting spaces that inspire you and your family for generations to come. Initial contact. Please call us as 413-532-2727 to schedule your appointment. 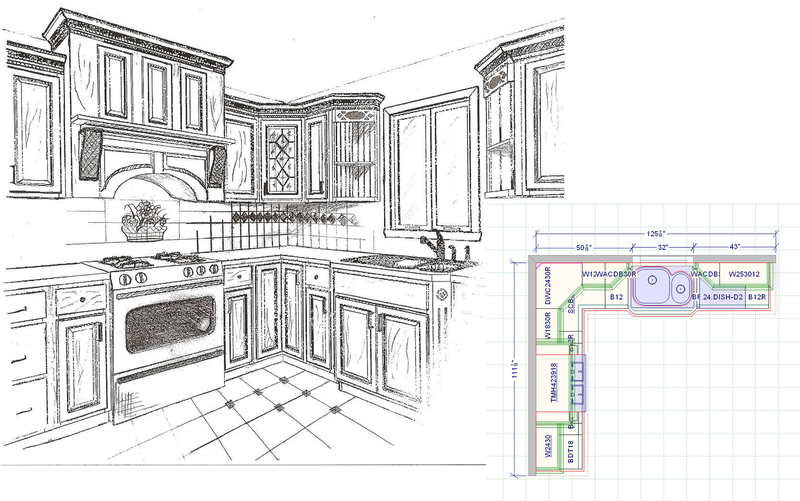 A qualified Designer will come visit your home to meet with you. They will go over your ideas and styles request, as well as make some design suggestions. The Designer will also take down dimensions of the space and assess the homes mechanical and architectural structures. A third appointment and subsequent appointments are made to finalize design and select the various materials for the project. An In-Home appointment is made with our sub-contractors to review the new layout presented and determine the mechanical work for the project. The Final design plan and contract with selections and detailed description of the work is reviewed with the client at the showroom. A deposit is then made and the job is scheduled. A preconstruction meeting is held to verify design layout. Client will receive a phone call ahead of the project start date to go over what needs to be done prior to the crew’s arrival. Once job nears completion a final punch list is made and the job is then completed to the client’s satisfaction.